Safety everything.com.ng is a Nigerian one-stop online destination for all Personal protective Equipment (PPEs), safety related items as well as other materials. 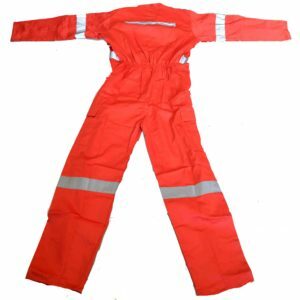 With growing awareness on health and safety in Nigeria, which necessitates ever increasing demands for safety items and materials, the need for a rich and resourceful online store (with wider reach) where safety practitioners and non-practitioners alike can freely get safety items for their purposes at competitive prices cannot be over-emphasized. Safetyeverything.com.ng is an initiative of Nikab Consulting Limited, a safety consultancy and scaffolding firm – with over 50 years combined experience of partners we are sure of our know-how at offering professionally guided services to our buyers as rewards for their patronage. As an organisation, we understand that safety items or materials must be very protective of users; hence we have established business relationship only with manufacturers and direct distributors of good brands, both locally and internationally. Our customers are sure of genuine/original brands and quality products back with manufacturers’ warranties; this is in addition to our customer-in-mind after sales services. In other to make our customers to be sure of what they are buying from us and guaranteed great value for their money, we receive payment on delivery. Our website is highly user-friendly, businesses and individuals can buy products using our innovative one-step checkout procedures. Whilst most of these items are internationally sourced some are produced locally with the right expertise to ensure they meet international standards. We consult widely with our various partners and resource persons while we pull resources together for this purpose. We understand good customer services as the only assurance towards repeat business. We value our relation with our clients and supplier/vendors.